Sumac Baked Sweet Potatoes with Mint Yogurt Dip makes a great game day snack, appetizer or serve with breaded fish for a different take on fish & chips. I’ve been hearing a lot about the spice Sumac the past few months. It’s a Middle Eastern spice that is tangy with a hint of lemon and not at all spicy. It can be used in so many ways to season meat and fish, add to hummus and season vegetables to add a delicious bright flavor. 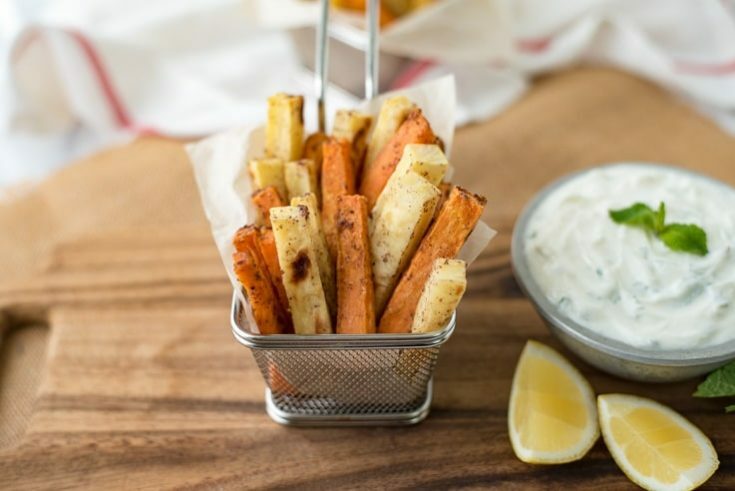 Today, we are making some seasoned baked fries and certainly not forgetting the dip. 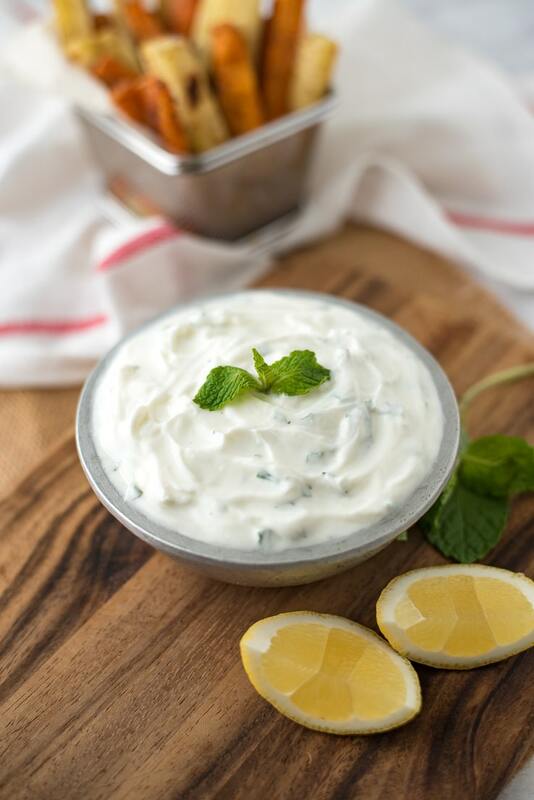 The dip is a cool and refreshing yogurt mint dip with a hint that is a delicious complement to the lemon sumac flavor and sweet potatoes. For the potatoes I’m using orange and white sweet potatoes for a colorful presentation. Most people call the orange potatoes sweet potatoes but they are in fact yams. The white potatoes I used are sweet potatoes, but they’re both sweet and both potatoes, so I am now calling them both sweet potatoes (no need to split hairs here). Lets talk about the cornstarch used on the potatoes, it’s not just a thickener for sauces. Cornstarch is added to fried chicken batter to make it really crispy and the same is applied here. Sweet potatoes need a little help getting crispy in the oven and coating the potatoes in cornstarch helps achieve the best crispiness we can get. It wont make them as crispy as regular potatoes. If you’re wondering where to find this amazing sumac spice, I haven’t started seeing sumac in my regular grocery store, but it is available at Whole Foods and Amazon. If you’ve tried these Sumac Baked Sweet Potatoes with Mint Yogurt Dip or any other recipe on the blog then don’t forget to rate the recipe and let me know how it turned out in the comments below. I love to hear from my readers! To a bowl add the Greek yogurt, mint, lemon juice, vinegar, honey and salt. Mix well and refrigerate. To a large bowl, add the fries and sprinkle with the corn starch. Toss to coat lightly. Add the oil, sumac and salt, toss to coat well. 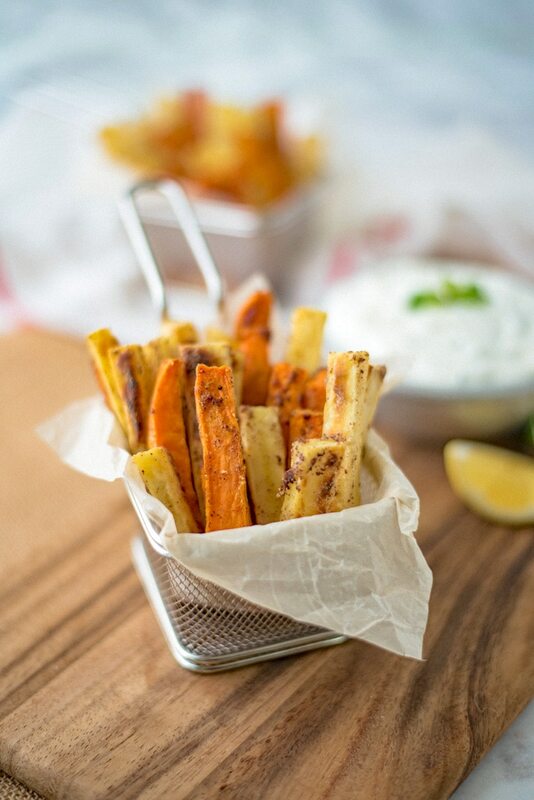 Spread the fries onto a large baking sheet, do not crowd so they will crisp. Bake 15 minutes, turn the potatoes and bake 15 minutes more. Serve warm with the yogurt mint dip. 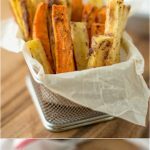 Not sure if I’ve tried sumac, but these sweet potato fries look and sound amazing!! I love the cute little container you serve your fries in, too. 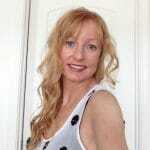 I’ve heard of sumac too – but never tried it and now I’m intrigued! 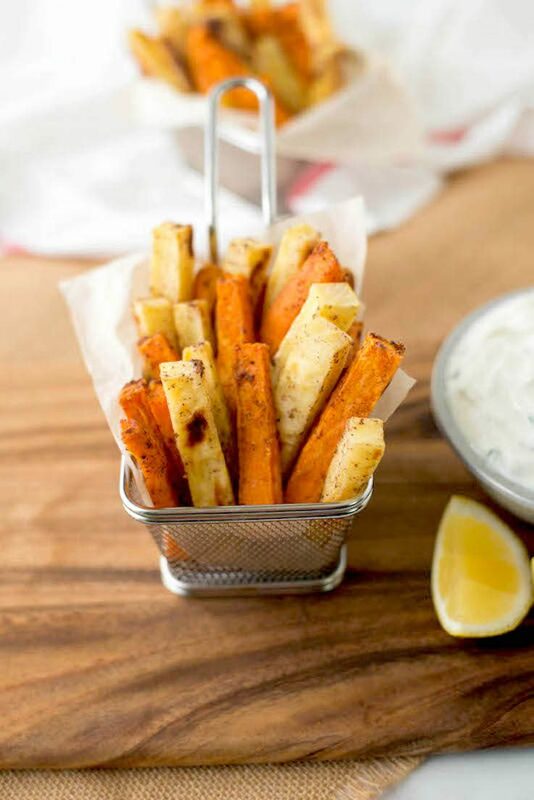 What a fantastic idea to pair them with sweet potatoes! And that dip sounds so much better than ketchup. I love sumac has a lemony taste and goes perfect on almost anything. The mint yogurt also sounds incredible I wish I could try now I am hungry. Adding corn starch is such a great tip! Also I conveniently have sweet potato and sumac! What a fresh & tasty snack!